This is Part II of our FAQ. We hope you find it useful. ‘Material’ information is information that matters to you and your company – something that makes a ‘material’ impact. And of course, ‘intelligence’ is about insight, information and data. So, material intelligence is providing customers with personal and specific information based on their business needs. Think of it like this - the Presidential Daily Brief tells the US President what is critical and potentially impactful each day. The Presidential Daily Brief is compiled by people within very expensive organizations. Bitvore will bring that same information advantage to every business leader in the world who could never be able to dedicate teams of people to find it manually. 2. But can’t a Google search do that? We love Google too, but it cannot deliver the specificity that Bitvore Intelligence can. You can definitely search a particular company or industry and Google is amazing at finding a selection of places that you can start reading. There are three problems: 1) you still have to read everything to find out if any of the results are useful and current; 2) you have to look for the same thing all day long to find timely new information; and 3) the pages Google provides are often old, spammy, and filled with irrelevant low quality material. You can definitely put an entire team to task on digging deep and reading everything they find, but do you have the resources to do it every day so you find FRESH material intelligence? And if you do, do you really want them to spend their time on manual searches and pasting it in to spreadsheets to pass around? There is also a major shortcoming in using a consumer product in enterprise applications (besides the specter of privacy). Companies have consistent suppliers, customers, regulations and competitors - should each employee need to setup and maintain their own alerts queries for the same topics? Doing so results in huge variability in information returned to any two people and does nothing to help compliance with a consistent process. 3. What are the use cases? Investment tracking, supplier risk, insurance risk, opportunity discover, product strategy, legal and regulatory change tracking, politics & election planning….truth be told, your imagination is the only inhibitor to coming up with ways that Bitvore can help deliver situational awareness of changing conditions that specifically impact your company. The more your company is impacted by external events, the more value fresh material intelligence from Bitvore provides. 4. Do you have any customers now? Yes, we do. We have focused on the investment markets first since they can tie value to information advantage about their investments. We count Bessemer Trust, Breckinridge Capital Advisors and Fidelity Investments as a few of the leading companies getting the Bitvore advantage today. 5. How long does it take to implement a new customer? From five minutes to a couple of hours depending on the scope of what you want to track. 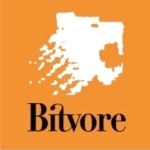 Bitvore is already running in the cloud gathering an enormous corpus of material intelligence for tens of thousands of topics and assets. All a customer needs to do is define what you want to tap into - a list of issuers of bonds, corporations in your supply chain, companies in your CRM system, etc. That’s it. 6. This sounds very human capital intensive; how many people does it take to dig through all the information to find the nuggets? That’s the power of the Bitvore platform. Bitvore is a patented technology that utilizes Artificial Intelligence and big data to collect, read, filter and correlate the information automatically. There is no dependency on amount of information Bitvore analyzes and the number of people required.